Using GBWhatsApp is very similar to using WhatsApp. In other words, after registering our telephone number in the app, we can access the service with the full list of contacts on our phone that have already installed the app and with whom we can communicate in all the possible manners allowed by the app. The possibility to use two WhatsApp accounts at the same time on the same phone: that’s probably the major difference between both apps as GBWhatsApp allows us to register two numbers on the same telephone. To be able to use this option in the official WhatsApp we’d need a double SIM card or a specific launcher. 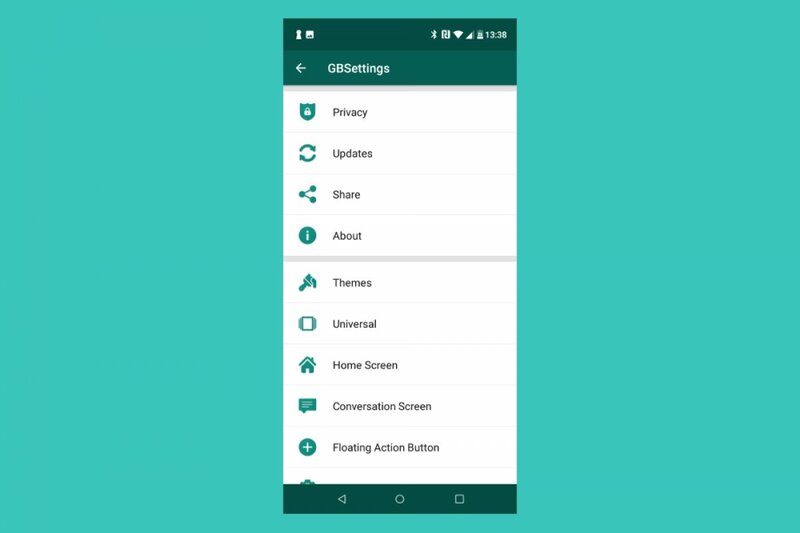 Greater privacy options: GBWhatsApp allows us to hide our online status, our last seen connection time, the double blue check or the fact that we’re writing a message or recording an audio, without waiving the possibility to see all that information about our contacts. Customizable user interface: this is one of the most eye-catching functions for many users of this WhatsApp MOD as it allows us to apply different visual adjustments to the app. GBWhatsApp, just like many other MODs of the likes of YOWhatsApp or WhatsApp Plus, isn’t an authorized development, reason why we can’t find it on Google Play, having to resort to alternatives of the likes of Malavida to be able to download its APK file. These MODs modify the functions of the official instant messaging and chat app, usually including functions that its users have been demanding for a long time, although the company hasn’t yet decided to implement them.